We promise to add flair and originality to your event with fully trained baristas on hand, dedicated to producing an exceptional cup of coffee or other hot beverage from one of our great looking mobile coffee carts or bars when you need it most. 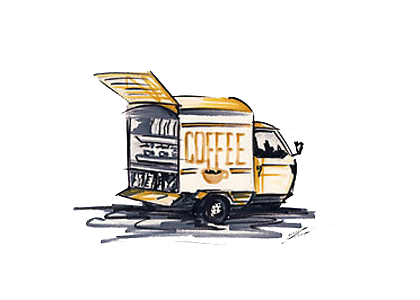 Our various mobile coffee machine options include our piaggio coffee van, Vintage wooden coffee trike or one of our coffee bars. These can be hired for any kind of event from private, corporate or public. Plus many more, At Cafe Santiago we can bring you the finest barista coffee to wherever you need it, so give us a call or email and lets discuss how we can make your event full with caffeine happy people.